The past few years have placed the spotlight in Asia as a promising place for startups. Amidst growing markets, Singapore is considered as one of the most successful in terms of innovating its business landscape. Dubbed as one of the four ‘Asian Tigers’, the Republic has appropriately owned its title through its impressive climb in the world economy. Nowadays, it is gaining global attention not only for the richness of its business landscape but for being one of the best environments for startups. When the United Nations sent Dutch economist Dr. Albert Winsemius to Singapore in 1960, there were no traces that could indicate the possibility of it being the world’s seventh largest GDP per capita five decades later. Dr. Winsemius described it as a “poor little market in a dark corner of Asia”, a struggling island economy still reeling from the influence of its colonizers. It is this very history, however, that laid the foundation of the business-friendly environment that the City State has today. In 1819, the British East India Company took camp in the island, turning it into a lively port city and a Southeast Asian trading perch. In the next decades, Singapore’s trading class, backed by the business acumen they learned from the Dutch tapped their proximity to natural resources and merged it to their global shipping lanes. Its start of economic success started with its industrial background which, unfortunately, was severely halted during the coming of the Japanese. The British took power once more, then left again, leaving the city in ruins from the fleeing of foreign investors and the political turmoil left behind their wake. This is the state that Dr. Winsemius chanced upon his arrival. Incidentally, this also served as the tinder to the city’s recovery. The People’s Action Party (PAP), Singapore’s ruling party since 1959, was very aggressive in its effort to establish prosperity in the Republic. Collaborating with Dr. Winsemius, the two developed a development strategy called “The Singaporean Model”, which utilizes the role of the government and free trade. The city opened its doors to temporary import tariff and tax concessions with one aim: Encourage foreign firms to bring in capital and knowledge inside the city which the Singaporeans can learn. The latter will then replicate these methods and develop their own effective models. If there is one thing that can be attributed to Singapore’s rise as a premier business destination, it is the wealthy amount of support that policymakers provide to the Republic. Universities in the city-state nurture the entrepreneurial skills of its students by providing not only skills but direct funding as well. Merged with the transparent legal system and protection, the city did not only encourage the pouring of investors inside the city but cultivated a culture very friendly to startups. Polytechnics relied on a strong curriculum for science and technology while also giving equal attention to industries where competition is low but opportunities abound (like processing and marine industries). The government also focused on internationalizing startups, focusing its perspective on going global instead of merely flourishing within the mainland. Moreover, there are existing initiatives to help startups get the momentum they need to grow. 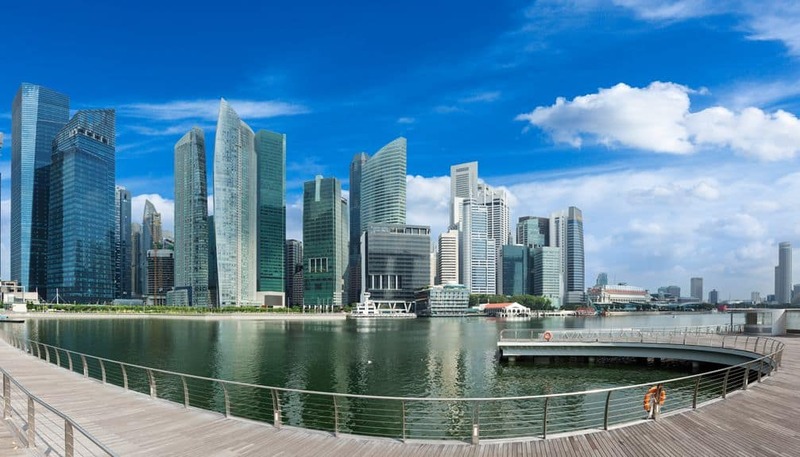 The success of these are very evident in the numbers, as Singapore moved to the 10th position of the best ecosystems for startups as reported by Compass, a software provider. In 2014 alone, many of Singapore’s startups garnered between US$5.5M to US$6 M of venture capital financing against Silicon Valley’s figures of $6.5M to US$7M. Multinational professional services network firm PricewaterhouseCoopers also forecasted that technology startups will contribute to 2 percent of the Republic’s overall GDP come 2035. Groupon Asia Pacific Head Mr. Joel Neoh succinctly describes the main reason behind the city’s success. According to him, the Republic’s stable regulatory environment and accessibility to funding is what makes starting a business in Singapore a worthwhile venture. Predictability is one thing that investors liked, and they can find that exactly in the city thanks to the number of private equity funds and venture capital firms that give business transparency to entrepreneurs. The overall approach of the Republic to doing business is also a factor. Singapore puts extra effort on pushing its startups, and its position as a small Republic has made its view shift from improving internal business into a global dream. This approach has cultivated an ecosystem of ‘teamwork’ where everyone, from the government down to the startups themselves collaborate to offer services and solve challenges. At the moment, Singapore is seen as a springboard for companies to first develop and harness their offering before bringing them out in the global scene. Despite its successes, a good momentum needs to be built in order for the Republic to be up in the ranks with the giants. The past 15 years has seen Singapore’s climb from being a business ground on its infancy stage to its present adolescent state. It is a proven fact that more and more of its startups are gaining bigger investments from ventures but it can only be considered a mature ecosystem the moment the Republic starts producing more successful exits like the ones produced by Silicon Valley. However, this does not disprove its current position as a very viable ground for startups. Singapore has cultivated an environment shaped by Eastern and Western business ideas, making it a perfect spot for the forging and development of concepts—a very important stage for startup innovation and later on, business success. As the Singapore Business Federation expressed, the need to maintain the momentum in pushing entrepreneurship is critical to Singapore’s fast-rising ecosystem. Support from the government and overall economic climate aside, the importance of cultivating a broader mindset regarding entrepreneurship in terms of creativity and a willingness to take risks should be taught to society. Despite this, from a startup’s point of view, Singapore is where the grass can definitely be greener. There is competition but support and a culture of teamwork is well-balanced by a global perspective to business success. This very environment encourages startups to not only succeed but thrive in its goals.